Dale Goffigon’s photographs are dreamy architectural portraits of old world elegance. These are powerful glimpses of light, color, texture, and form, frequently of forgotten spaces. She layers her fascinating travel experiences onto her background in textiles and weaving, sharing views that range from decay to opulence. All is bound together by the artist’s sensitive ability to frame and capture haunting beauty. Goffigon’s work has been published in The Redstone Book of the Eye and Connecticut Cottages & Gardens. She studied at Parsons School of Design, the International Center of Photography and the Center for Alternative Photography in New York. 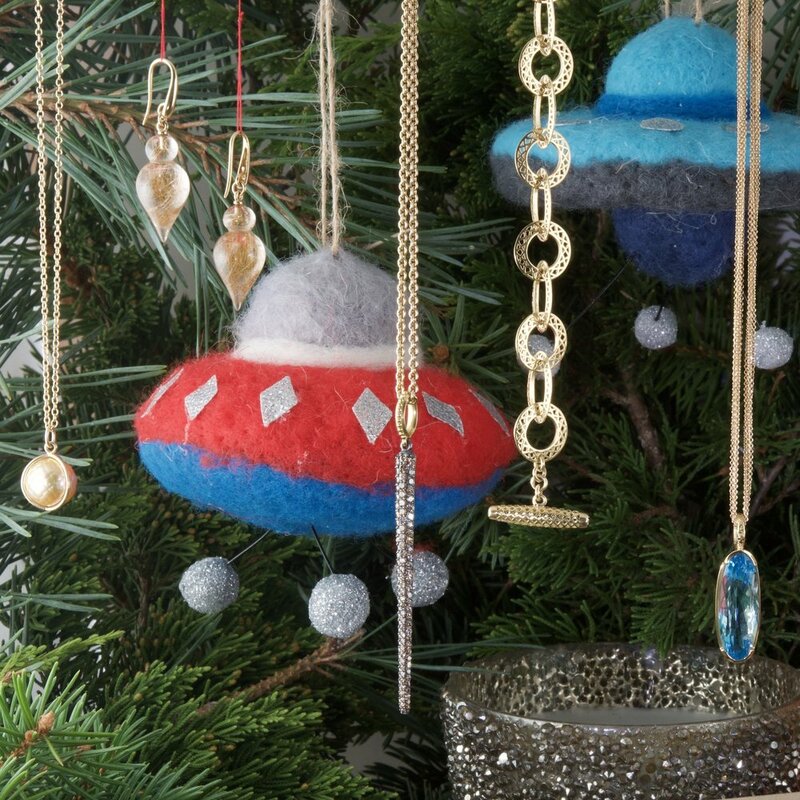 GLADSTONE is excited to be teaming up with the e-commerce shop CHOIX (n; [shwah] - choice) for a few Holiday Shopping Pop-Ups in Boston this season - think unusual and covetable antique and designer jewelry, luxurious personal and home accessories, and out-of-this-world holiday ornaments! Curator and visionary behind the e-commerce shop Choix, interior designer Abby Yozell’s renovation, design and decoration projects have taken her all over the United States and abroad. Those travels, combined with a devoted following and a true passion for shopping and discovering the unusual, have resulted in the creation of Choix. Choix’s raison d’être is to enhance everyday life for discerning people with an appreciate for the out-of-the-ordinary. Refining and revisioning home and personal accessories, Choix seasonally offers a laid-back chic collection. Join London designer, Tarra Rosenbaum, to create your bespoke future heirloom. Elegant and timeless, this 18k gold ring design is available in an endless number of gemstone and enamel color combinations…your choice! Bring along a piece of gemstone jewelry that you would like to redesign and repurpose or just come and discover all of the possibilities! Dale Emmart paints constantly changing skies en plein air. In this particular exhibit she focuses on Accessory Clouds, smaller clouds which accompany or are adjacent to larger cloud masses such as the Cumulus. Educated at the Cooper Union School of Art in New York (BFA) and Rhode Island School of Design (MFA Painting), Dale’s artistic vision has influenced literally thousands of budding young artists. A native New Yorker and lifelong teacher, Dale has been an instructor of art at New York’s Brearley School for the past 15 years, currently as the Head of the Art Department there. She has taught drawing, painting, and printmaking in numerous other positions at the Rhode Island School of Design, Parsons School of Design, Fordham University, Brooklyn College, and New York Institute of Technology, among many other fine art institutions in the US and abroad. Dale has led numerous painting workshops in Europe and is Co-Director of Plein Air Portugal in Amarante, Portugal. Dale and her photographer husband Glenn split their time between New York City and rural Pennsylvania where their studios are located. We are both pleased and fortunate to be exhibiting Dale Emmart’s paintings.